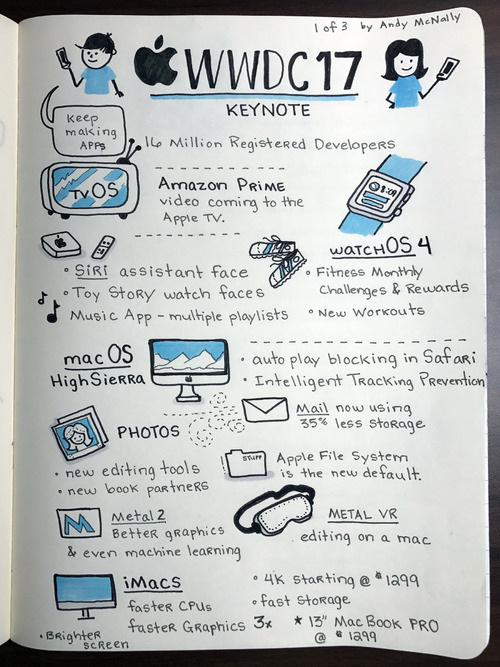 Andy McNally’s Sketchnotes from WWDC 2017. Today we are super excited to host Andy McNally . I covered the Apple WWDC 2017 for Cult of Mac and attended the Layers Conference. It would have been a lot of work, if it was not something that I love doing. 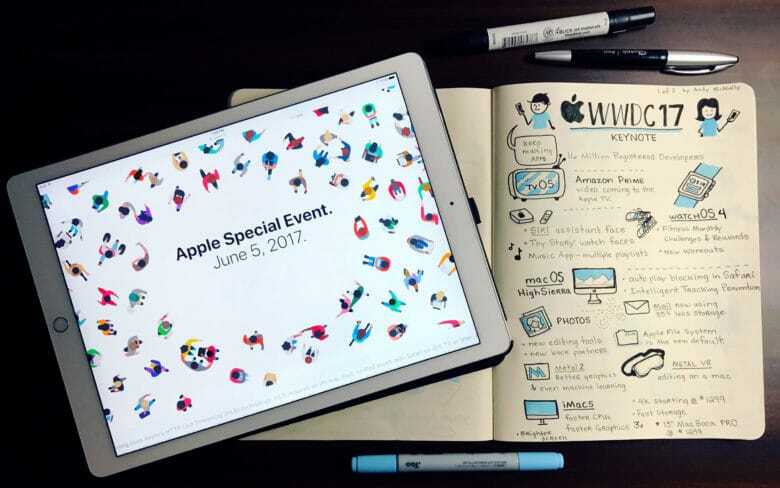 I have been sketchnoting since middle school, when my teachers called it "doodling." Sketchnoting is pretty much the only way that I take notes. It allows me to recall the information better and record visual thoughts. In my UX/UI Design consulting jobs, sketchnoting lets me record thoughts and ideas for user interfaces or product updates. I have developed my own style over the years, which is inspired by the cartoons and comics I read growing up, like Hanna-Barbera, Hagar The Horrible, and newer shows like the PowerPuff Girls." Do not miss Andy’s original post on Cult of Mac for more samples! Andy, I'm impressed! I love the consistency of structure and style across the whole collection.